Support Staff - Care Coordinators Inc.
Cindy Bustamante joined Care Coordinators in November 2010. Cindy’s background includes 20 years of experience in the Radio and TV sector, ten years of experience in the Office Medical sector, and three years of experience in Property Management. Cindy and her soul mate Mark are the proud parents of a wonderful dog, Sabino and two wonderful cats Cheeto and Rocky. Cindy loves to write journals, poems, stories and enjoys spending time relaxing at home while getting together with family and friends. Cindy hates shopping and has learned to really enjoy and appreciate two things that she never thought she would: reptiles and motorcycles. Raylene Franks joined Care Coordinators in May 2015. Raylene has worked in the elder-law field since 1998. 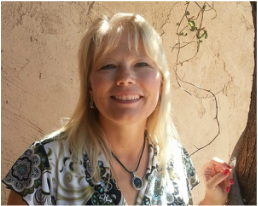 She is experienced in real estate, personal property management and finance. Raylene holds a Bachelor of Science in Legal Assistant Studies from Chaparral College. Raylene was born and raised in Wisconsin and moved to Tucson with her high school sweetheart and now husband Richard in 1984. They still and always will be Packer fans but also love the Arizona Wildcats! Raylene and Richard have 3 four-legged kids: Bobbi the cat, Dex the dog, and Brutus the desert tortoise. Whenever they can get away you will find them in the motor home with their dog Dex heading somewhere fun like NASCAR, camping, fishing, skiing, or the ocean. Raylene’s Motto: Life is short, find something to make you smile each and every day! Happiness Always! 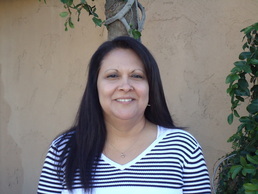 Elvira Machado joined Care Coordinators in 1995 as the company file clerk. She has evolved into our Girl Friday covering reception, scheduling, billing and other tasks as assigned. Elvira was born and raised in Tucson and her family is very important to her. She is most proud of her son, Ronnie, daughter Delfina, and grandchildren Junior and Lily Jade. Elvira loves the outdoors, walking to keep in shape, reading murder mysteries, watching TV, playing outside with her family and shopping. Mary Oddo was born and raised in Arizona, but lived in South Carolina for 15 years before returning to Tucson in 1999. Mary worked for Webster Rogers & Company a large CPA firm and a the Carolinas Hospital Systemin Florence, South Carolina before coming to Care Coordinators in 2000. Mary has eight amazing children and six wonderful grandchildren. Mary enjoys reading, hiking, cooking and watching old movies. A little known fact: Mary attended Pima Community College the first year of its existence in 1970, classes were held in an airplane hanger as the campus was not yet completed.